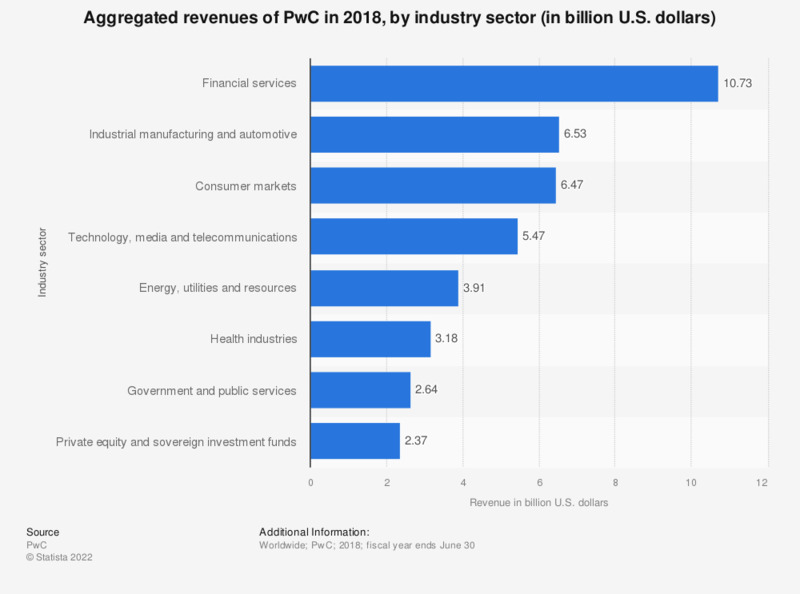 This statistic shows the aggregated revenues of PricewaterhouseCoopers in 2018, with a breakdown by industry sector. In the fiscal year of 2018, the company generated just under 6.5 billion U.S. dollars from consumer markets. Revenues are the aggregated revenues of all PwC firms and are expressed in US dollars at average FY18 exchange rates. Gross revenues are inclusive of expenses billed to clients.